Albert Opticians | Brands | Yuichi Toyama. Yuichi Toyama is an experiment in pure design and structural aesthetics. Uninfluenced by trends or fashion, the collection expresses distinctive, minimalist lines by stripping away all unnecessary elements. 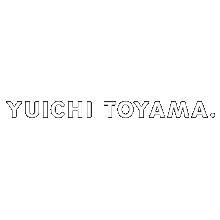 Yuichi Toyama is dedicated to the pursuit of a newfound “Made in Japan” quality with exceptional traditional craftsmanship, and innovative design.